Fundación Pro-Bosque’s Chief Ranger Don Perfecto Yagual has played a key role in delivering the XV Training Course for Environmental Interpreters in Cerro Blanco Forest Reserve. As one of Cerro Blanco’s most experienced rangers, Don Perfecto’s contribution to the training of new guides is crucial. 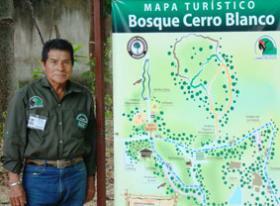 Don Perfecto has known Cerro Blanco Forest Reserve since its formation in 1989 and his expertise is a great resource. 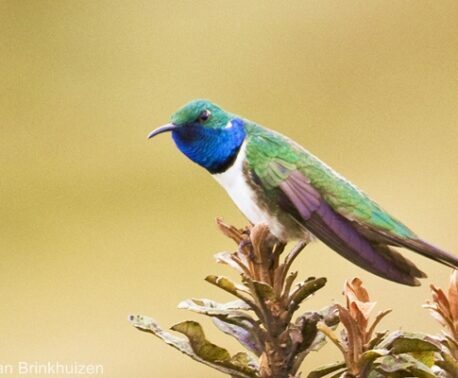 World Land Trust (WLT) is currently funding his post through the Keepers of the Wild programme. 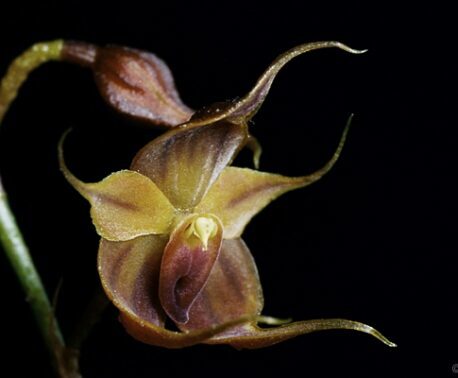 During a training course for new guides held earlier in the year, Don Perfecto shared his extensive knowledge of the flora and fauna of Cerro Blanco forest as well as recounting anecdotes from his work as a ranger. On one occasion he was bitten by a venomous snake, a Pit Viper (Bothrops atrox) – also known as Fer de Lance. The bite of a Pit Viper can have serious effects, because the venom tends to eat away at the flesh around the bite, which can become infected. If this happens, amputation is sometimes the only solution. Don Perfecto was born and raised in the Cordillera Chongon Colonche mountain range where Cerro Blanco is located and, from an early age, he learned the medicinal properties of plants. During the training programme, Don Perfecto stressed the value of respecting and appreciating the forest and its resources, and the importance of communicating this to visitors. He also took participants on a tour of the trail to help prepare them for their practical guiding test. Since it was founded in 1989, WLT has been very successful in raising funds to save habitat. But our overseas project partners, in whom the ownership of the land is vested, have the task of protecting the reserves and the wildlife they contain. WLT’s Keepers of the Wild project aims to help our partners protect vulnerable habitats by providing funds to employ reserve rangers.